February is an important month. Not only is it home to Valentine’s Day, February is also American Heart Month. American Heart Month’s purpose is to remind you about the importance of keeping your heart healthy. Luckily for us horse people, there are many ways to put our involvement with horses to work in keeping our hearts healthy. Regular cardiovascular workouts will help to keep your heart healthy, and riding is an excellent way to get in such a workout. 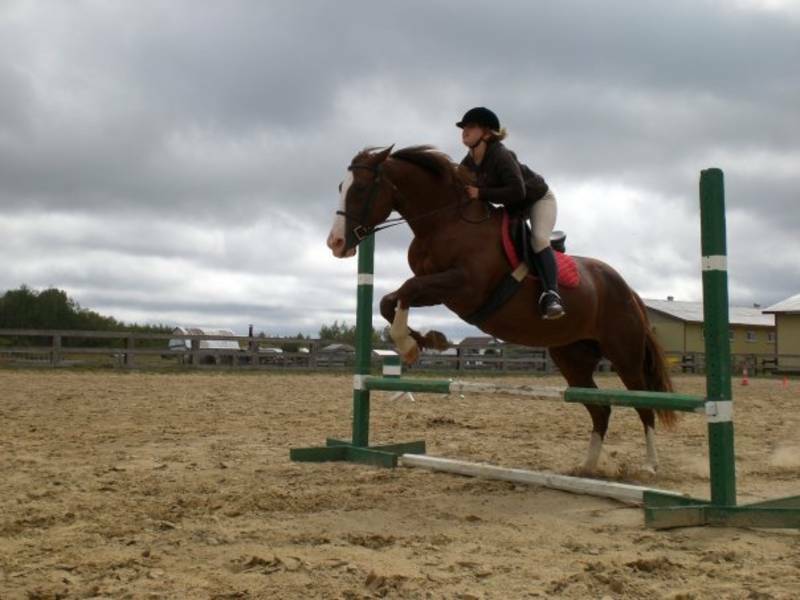 Trotting sessions will get your horse back in shape from a winter off, and you’ll get a chance to work on your own fitness level. For an extra challenge, drop your stirrups – you’ll keep your heart healthy and develop your legs and core at the same time. Think you need a gym membership to get in a good workout? If you have a large barn with many horses, that might not be the case. Daily chores like stall cleaning and lugging water buckets will get your heart rate elevated and the blood moving through your body. You’ll also develop some great strength in your arms, shoulders, and legs. · Always bend your knees and keep your back straight. · Only carry even loads – if you have a water bucket in one hand, carry an evenly weighted one in the other. · Don’t try to lift loads that are too heavy for you. · Wear a back brace if you’ll be doing repeated heavy lifting. Though stalls and water buckets need to be tended to on a daily basis, there are extra “special” barn chores that can also give you a great workout. Hay deliveries are one of them – spend a few hours stacking hay and you will certainly be feeling the effects of your workout the next day. Walk your farm fencing and inspect it for safety and needed repairs. Hand raking the arena or barn aisle, or shoveling out after a snow storm are also great workouts – and just think of all of the calories you’re burning, too. For us to be effective riders, we need to keep ourselves in good shape. Your position and security in the saddle will only benefit from additional exercise, so think about adding some walking, running, bicycling, or swimming onto your schedule. These exercises will help to keep your heart healthy and can make your job as a rider easier. During American Heart Month, us horse people have it easy – many of our activities already get our hearts moving. Remember the importance of exercise and good health, though, and if you have friends who need to get in some exercise for American Heart Month, invite them to come along and help you out at the barn.